Makaibari is located at Kurseong , land of the white orchid in Darjeeling, It is the world's first tea factory and was established in 1859. Rajah Banerjee, the fourth generational owner, has coalesced the ethnic diversity of the seven Makibari villages, to a harmonious entity by holistic sustainable practices. Rudolph Steiner's biodynamic method has evolved an uniquely healthy soil, that houses a healthy society. The goal of biodynamic practices coupled with permaculture, to usher harmony between soil, microorganisms, plants, animals and man, is a shining model at Makaibari for all of mankind to emulate." The Makaibari Tea Estate, located 4 kms from the city centre of Kurseong is one of the most renowned tea names of the world. Some of the most costly tea (Upto Rs. 22000 per kg) is cultivated here. The Tea Estate was established in 1859 and was the first bio organic (no chemical fertilization used) tea garden in India. Makaibari (literally "Maize Land") ihas some unique features with myths and legends making it the most discussed tea garden. It has its own forest cover with six tires of forests – the highest form of Peramculture having a variety of wild animals and birds. It was certified as the first Biodynamic Garden in the world. In 1996 Makaibari sold its best quality Tea known as Silver Tip leave, which is picked in full moon night by the best women pluckers, at a world record price of $400 a kilo. The total area of the Tea Estate is 1000 acres, out of which 650 acres remains under forests. The estate is home to a wide variety of wild animals and 12 forest rangers are appointed to keep track of this. Visitors are allowed to visit the Makaibari factory and are offered a free guided tour to see how the luscious leaves are processed into green, oolong, black or white tea. One is given a first hand experience of planting tea bushes, plucking tea leaves or tending to the nursery. A tea tasting session can also be organized on special request. A factory outlet selling different varieties of the Makaibari tea has also been setup. The Makaibari Tea Estate was one of the first to introduce tea estate tourism. The Estate offers 6 double rooms and offers meals prepared from the organic vegetables grown in the kitchen garden. An early morning walk gives a chance to witness an exotic sight of the Himalayas and its flora and fauna. Makaibari follows a form of integrated forest management called permaculture where the tea bush is part of a multi-tier system of trees and plants typical of a sub-tropical rainforest, as opposed to a monoculture--a farm that grows only one crop. Makaibari retains 70% of its entire area under forest cover. Harmonious interactions at all stages have created a bio trope for many species of animals to thrive here, including endangered panthers, tigers, birds, butterflies, snakes, spiders and many others, feeding off of each other as part of the natural food chain. All of these could be experienced at three separate levels of hospitality. A virtual stopover for a global traveler, environmentalist, ornithologist and the ultimate eco tourist. The Silver Tips Imperial Tea, which is a proud produce of Makaibari, is the the World Record holder as the most Expensive Tea Two decades of passionate devotion has resulted in the ultimate tea experience. Plucked under full moon beams, the blaze of Silver Tips Imperial highlights the subtleties of Darjeeling terroir, imperiously. Ideally sipped at bed time to cull one to celestial slumber. This Makaibari patent is the world's most expensive tea. Eagle’s Crag is a 1 km walk up the hill from the Kurseong railway. The viewpoint features a breathtaking panorama of the snow-capped peaks of Khangchendzonga, Jannu and Kabru in the north along with views of the Teesta River and dense evergreen forests of the Darjeeling valley. At the summit there is a tourist complex which has a garden, a cafeteria, a watchtower and an observatory. The garden has beautiful flowers and a memorial built to pay tribute to the brave who scarified their lives during the 1988 shakeup in the city. This is called the Shahid Smarak. There is a water reservoir here which serves the entire town of Kurseong. The observatory is known as Netaji Kothi because it was once the summer home of Subhash Chandra Bose. However today it is a ruined building. A lot of trekking trails originate from here to the surrounding mountains and forests. It is recommended that if visiting on a summer evening, do sit there for some time and enjoy the cool and clear breeze and watch the twinkling lights of Silguri. The Sumendu Lake is located in Mirik which is 49 kms from Darjeeling. The lake is surrounded by a beautiful garden on one side and pine trees on the other, all linked together by an arching footbridge called the Indrani Pull or the Rainbow Bridge. The lake is 1.5 km long and encircled by a 3.5 km long road which is ideal for a walk. One can also see Mount Kanchenjunga from a few points on the road. The Lake is ideal for boating on the shikaras and boats can be hired for 30 minutes to an hour. Middle of the lake has a floating fountain. Depth of the lake varies from 3 feet to 26 feet and the two elevated points near the lake are Rameetay Dara and Deosi Dara. On the western bank is the famous temple of Singha Devi Mandir. Shree Antu Danda, a small village that has contributed to Ilam by giving it the title of the 'land of sunrise', is located on a solitary hill close to Pashupatinagar. Antu Danda crowns over multiple tea estates, rivers, agricutural lands, open graaslands and forests, offering a travelers more than they expected. Indian Hill station Darjeeling can be seen from here on a clear day. A clear view of the crimson stage of the sun, ready to throw the first ray, and slowly turning into a hot ball is something that this place is known for. There are quite a few places to stay here, which are easily available and cheaper. The place offers multiple treks that snake into the deep forests, few of them leading to the mountains.Those who are looking for a blissfull morning and a peaceful evening will find this place made for them. Makaibari follows a form of integrated forest management called permaculture where the tea bush is part of a multimeter system of trees and plants typical of a sub-tropical rainforest, as opposed to a monoculture--a farm that grows only one crop. Makaibari retains 70% of its entire area under forest cover. Harmonious interactions at all stages have created a bio trope for many species of animals to thrive here, including endangered panthers, tigers, birds, butterflies, snakes, spiders and many others, feeding off of each other as part of the natural food chain. All of these could be experienced at three separate levels of hospitality. Some years back, it was decided that to accommodate the constant flow of visitors to Makaibari some villagers would open up their homes to them as paying guests. The 15 families who initiated the homestay programme formed a group called Hum Tera. The villagers took the decision to install western style toilets in their homes to facilitate the homestays. The raw materials were provided by the management and the fitting was done by skilled masons. Hygiene improved dramatically. At present they are offering homestays at Rs.900/- per person per day, all meals included. The homestays signifies the harmony of man and nature that this garden epitomizes, It also reflects the concord between workers and the owner that is rarely seen during these troubled times in the tea industry. Makaibari (Hum Tera) – It is one of the finesttea garden of the region. Run and managed by dynamic Mr. R Banerjee. Hisinitiatives have created a positive striking difference to the region.Preservation of ecology, developing Tea, develops the local tourism industriesalong with the development of the local community are worth mentioning. Thistea estate is ideally located on the way to Darjeeling from Siliguri. This issituated just a few kilometers from Kurseong and is nearly 1 to ½ hour’s drivefrom Bagdogra Airport or New Jalpaiguri Railway Station. Guest can also use theDarjeeling Himalayan Railway to come from New Jalpaiguri and get down atKurseong station and either drive the three kilometers or hike to Makaibarihome stay. Activities are many stay here would include life style explorationin the tea estate, village walks, Jungle walks, visit to houses of differentethnic groups, walks and hikes along the garden, historical sites, places ofscenic beauty, local market, Walk to temples and Monastery, traditionalfestival when they do occur in the village, local market day, Short trip tonearby places of interest, Buddhist Monastery, day trip out or picnic, etc.Other activity may include observing village life and seeing how villagersperform their everyday chores - milking cows, churning butter, weeding andharvesting tea. Visit to watch tea manufacturing is a lifetime experience onecan observe. Participate in Tea tasting and knowing how tea is graded andtasted are lifetime experience. Stay is in Cottages run by the Tea workersfamily and is one of the hunting places for foreigners. Activities during yourstay here would include life style exploration in the village, village walks,Jungle walks, visit to houses of different ethnic groups, walks and hikes alongthe river, visit waterfalls and places of scenic beauty. Places of interest orthe activities one can indulge in are the viewing of the magnificent Sunriseand sunset and the view of mount Kanchenjunga and the Himalayan range, Forest& Nature trek, birding and butterfly watching, Village excursions,participating in cooking with the locals and learning dishes. Mr. Raja Banerjee popularly known in this regionis the brain child of developing this tea estate into a tourism hub ofKurseong, options are many but ultimately the charm is enjoying the stay in thevalley. He started and created infrastructure for village tourism based on thehome stay concept, with philanthropic assistance, to provide earnings fromtourism. 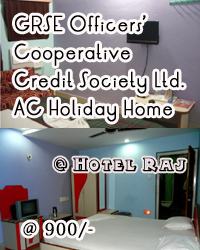 Tariff: homestays at Rs.900/- per person per day, all meals included.